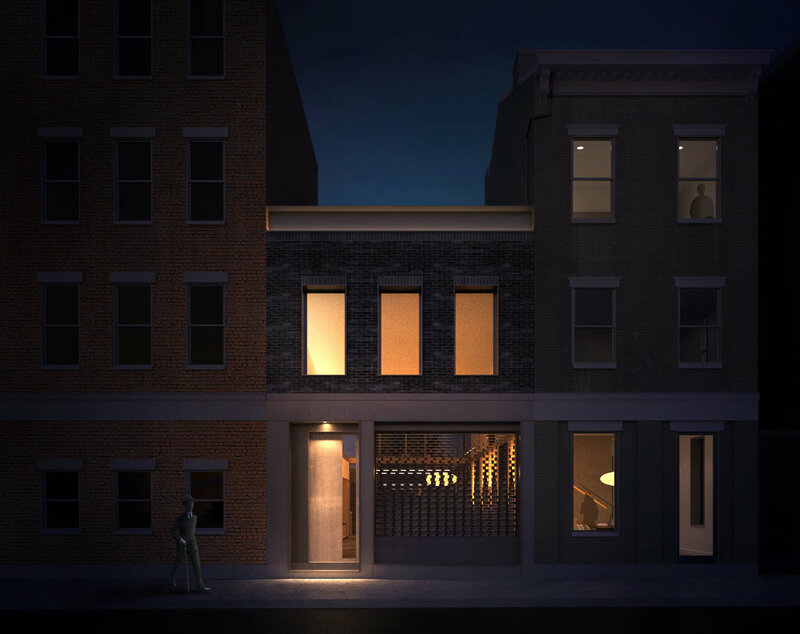 The Elm street residence consists of the renovation of an existing abandoned row-house, and new urban infill in the adjacent empty lot. 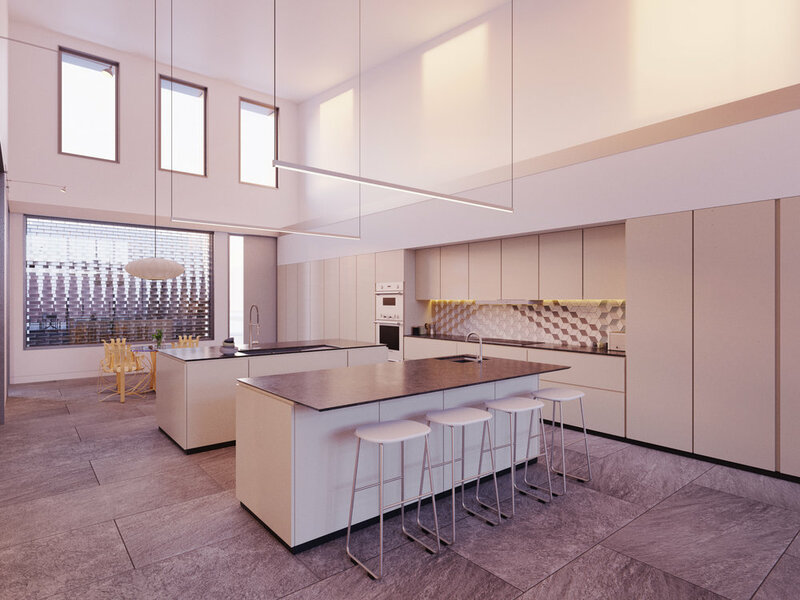 The new addiction features a large open space for kitchen and living, with a unifying wall of wood-clad cabinetry on the North wall, and a generous courtyard on the East end of the site. 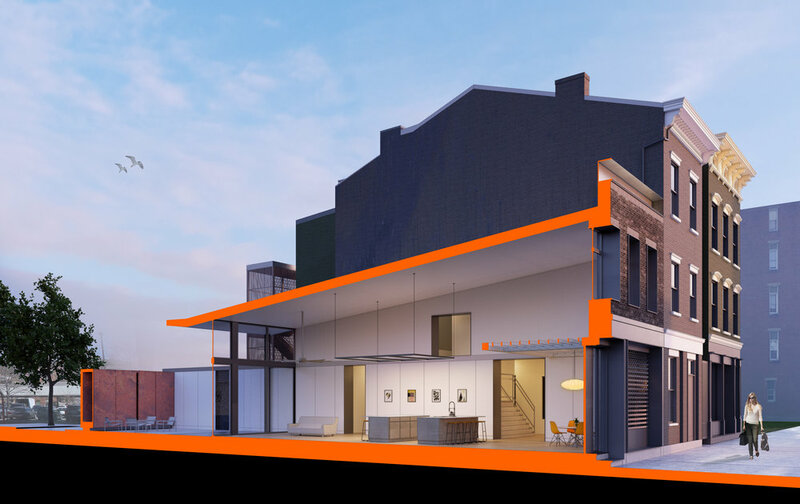 The Elm Street facade will have a custom-fabricated steel plate screen element that shifts parametrically-closed to provide privacy at the bottom and open to provide light at the top of the wall. The existing building will accommodate bedrooms and bathrooms, as well as a new stair and elevator for aging-in-place. Reclaimed wood surfaces will be used for the stair and storage areas in the existing building.